Disclosure: This post has been sponsored by Febreze In-Wash, however, all opinions and must-have ideas are our own! Easy Fitness Tips and Ideas for Busy Moms! Did you make any New Year’s Resolutions for 2016? Is one of them to get healthier and more fit? That’s my goal. I’ve got some weight to lose but I don’t want to diet. I just want to eat healthier and have my little chocolate splurges as the need arises. Stop over indulging ANY time I please. Everything in moderation – is key for me, along with finding easy fitness tips to help! The thing is though, we don’t always have that hour to fit into our day to workout. Or maybe we do, and we just use the excuse that we don’t have! Well — our Moms Check In gang is sharing some Easy Fitness tips for Busy Moms! Keywords here being BUSY MOMS! There’s no excuse anymore. No reason why we can’t fit a bit of time to get some sort of workout in every day! Drop us a comment below or chat with us on social media using the hashtag #MomsCheckIn and #FitWithFebrezeInWash! Join us at our upcoming Twitter party on Feb. 4th at 1pm EST. We’ll be giving away fun Fitness prize packs and Walmart gift cards! Make sure to RSVP here to be eligible to win prizes at our party! Party Details can be found near the end of this post! Everyone’s fitness routines are different based on when they have free time. For me, it’s in the mornings. For other moms, it’s a night. The one thing that we all DO have in common is that we sweat when we work out. We sweat a LOT. That stinky sweaty odor tends to cling to my spandex and stretchy workout clothes. It must just be the material, but washing alone with just detergent doesn’t always take the smell out. Thankfully I became acquainted with Febreze In-Wash Odor Eliminator! This stuff is amazing! It gets out all kinds of offensive odors besides just sweat…like mildew, smoke, pet odors, and more! Pee-yew! All I have to do is add a little to my wash cycle, along with my regular detergent and voila! The stink is GONE! It doesn’t just mask the odors either! It completely removes them from the fabric. If you don’t believe me, you can check out these over 500 5-star reviews from other customers! Make sure to grab your $2 coupon too, to save on your first bottle! You’re welcome to come and party with us next Thursday, Feb. 4th from 1-2pm EST. During our #FitWithFebrezeInWash Twitter party, we’ll be chatting about fitness and keeping our workout clothes smelling fresh plus we’ll have 4 awesome prizes including Febreze In-Wash Fitness prize packs AND Walmart gift cards! Make sure to RSVP HERE to be eligible to win! What are your easy fitness tips for busy moms on the go? Disclosure: This post has been sponsored by Downy Wrinkle Releaser Plus, however, all opinions and must-have ideas are our own! It’s getting to be the busiest time of year – and everyone will be traveling for the holidays to be with family and friends. Usually, more often than not, we all forget something super important OR we’ve packed it…but it’s in our checked bags. Packing your carry on bags the right way, can relieve a whole lot of stress. Especially if you’re traveling with kiddos! 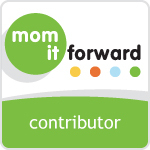 Our Moms Check In moms are talking about our must haves for carry on bags when traveling. We’d love to hear your tips too. Drop us a comment below or chat with us on social media using the hashtag #MomsCheckIn and #DontPackWrinkles! “My carry on bag has changed a bit over the years from when I would travel with an infant and then a toddler. Now that my son is older, I get to pack a little lighter. “I do a fair amount of traveling, so over the years, I have perfected my carry on must haves. These are the items that I never leave home without when traveling and I always keep with me. “I haven’t traveled a ton, but I have traveled enough to know what are must have items in my carry on. I know that everyone packs their travel bags a little different, but one thing is for sure! No one wants to look like a wrinkled up mess when they arrive at their destination! Right?!?! — and who has time to iron everything in their suitcase? We all love our Downey Wrinkle Releaser Plus. Makes smoothing out the wrinkles such a breeze AND it gets rid of that awful static cling. This time of year is really bad for it anyway! Blah! If you’ve never tried it check out the almost 1,000 people who have submitted their reviews online. It’s amazing stuff! I love that they have the 3 oz. size bottles of the Downy Wrinkle Releaser Plus because it meets airline standards! Find tons more travel tips and hacks on the Downy Wrinkle Releaser Plus Pinterest page! They have everything from the perfect travel outfits to tips on traveling with kids! Please party with us next Thursday, Dec. 17th from 1-2pm EST. During our #DontPackWrinkles Twitter party, we’ll be chatting about travel tips and giving away 5 awesome prizes including Downey Wrinkle Releaser Plus travel packs AND Target gift cards! Make sure to RSVP below to be eligible to win! What are your best travel tips and carry on must haves? Disclosure: This post is sponsored by Boogie Wipes. All snotty and boogery opinions are 100% my own. Allergies are already running a’muck in our house, and have been for 2 months or longer! With cooler weather, cold and flu season is creeping in, and that’s NO fun! Our Moms Check In moms are talking all about our best tips for fighting the cold and flu and how to help make it a little easier on the whole family. We’d love to hear your tips too! Drop us a comment below or chat with us on social media using the hashtag #MomsCheckIn and #SolutiontoSnotty! We’re also having a #SolutiontoSnotty Twitter party this Thursday night, Oct. 22nd. If you’d like to attend, the linky to RSVP is towards the bottom of this post. – Eating a fairly balanced diet with lots of fruits and veggies. Even if you have to hide them in their favorite foods, getting these vitamins and nutrients are important in keeping their immune systems up. – Drink plenty of room temperature water, hot tea with honey and lemon, and hot chicken broth. Did you know that cold water and iced drinks can cause mucus to thicken. So can milk and other dairy products. – Keep a humidifier and/or essential oil diffuser going. Turning on the furnace makes the house nice and toasty, but it also dries out the air. Put some moisture back into the air. It’s good for your sinuses. – Take daily multi-vitamins and extra Vit. C. Flintstones, gummies, vitamin powder pouches for bottled water…anyway your kiddo will take them. – For a croupy cough – sit in the bathroom with the shower running hot water. Breathe in the steam for 15-20 minutes. – If your child can tolerate it, I suggest using a nasal rinse or irrigation. Whether a neti pot or a bottle with the bulb on it. If they’re too young or can’t tolerate it, a simple saline nasal spray is also great. – Sleep with their head propped up. This helps them to breathe better and keeps post-nasal drip from causing irritation. – Massage the face and/or apply pressure using your fingers to the sinus cavity areas. That helps move mucus and sinus pressure out of the area. – Steer clear of dairy products. Dairy can make mucus thicker, and we don’t want that. Boogie Wipes to the rescue! With the germy and snotty season upon us, Boogie Wipes comes to the comforting rescue! When you’re wiping noses 20 or more times a day – nothing is better than a Boogie Wipe because they’re made to be super gentle on little noses. Boogie Wipes are gentle and natural saline wipes that dissolve boogies caused by the common cold or allergies. They’re developed by moms just like you and I. Moms that are tired of chasing down runny noses. They’re extra soft, hypoallergenic, phthalate and paraben free AND alcohol free. No more sore noses! In addition to our awesome Twitter party coming up Thursday, they’re ALSO having a Boogie Wipes Giveaway!! You can enter to win a year’s supply of Boogie Wipes! Clean noses for everyone! Click HERE to enter!! We’re going to be talking about cough/cold tips this week during a one-hour Twitter party on Thursday, October 22nd from 8:30-9:30pm EST. You’re invited to attend. Make sure to RSVP below to be eligible to win! The prizes will include lots of Boogie Wipes swag + $400 in gift cards ($200 grand prize plus (4) $50 gift card prizes)! What are your best cough/cold/flu tips for kiddos? Disclosure: This post is sponsored by Dreft Home, Febreze In-Wash Odor Eliminator, Downy Wrinkle Releaser Plus and Boogie Wipes, however, all thoughts and opinions are our own. We’ve been back to school now for 2 full weeks. We’re on our 3rd week now! Have you already started back? I totally understand and I get it. Transitioning from summer break to getting up at 6:30am isn’t easy. Our Moms Check In moms are talking all about back to school tips this week and we’ve got some of our own tips to help make it a little easier on the whole family. We’d love to hear your tips too! Drop us a comment below or chat with us on social media using the hashtag #MomsCheckIn and #BoogieB2S! Before we share our Moms Check In Moms’ tips, be sure to check out our Back to School Saving Guide! Also, we’ve got a couple of really great after school snacks or dinner ideas that are easy peasy! Here’s our kid approved Mini Pizza Snackers and a fun Cheesy BBQ Pigs in a Blanket recipe! Enjoy. We’re going to be talking about heading back to school and fun tips this week during a one-hour Twitter party on Thursday, August 20th from 1-2pm EST. You’re invited to attend. Make sure to RSVP here to be eligible to win! The prizes will include lots of Target gift cards, teacher supply kits, and a stocked backpack filled with all kinds of goodies! Products to Include in Your Back to School Shopping List! We have a few products that are MUST haves when the kids go back to school! So make sure to add these to your list!! Have you heard of Dreft Home before? We’re all familiar with Dreft as laundry detergent for babies but now they make stain removers, odor removers and even all purpose household cleaners (including wipes!). Their products are gentle on skin, yet remain tough on stains! Perfect for our messy kiddos! Football, Soccer, Hockey, Gym Class – back to school can also mean Back to STINK! Luckily Febreze In-Wash Odor Eliminator is there to help you expel the smell, undo the pee-yew and sink the stink to make back to school smell much better. Click here to download a $2 off coupon and learn more. Forget ironing or even throwing clothes in the dryer to get rid of wrinkles in the mornings! Downy Wrinkle Releaser Plus can knock those wrinkles out with just a quick spray down! Last but not least, you’ll want to keep some Boogie Wipes and Boogie Mist on hand! It never fails. The yucky noses start within a week or two of starting back to school. They’re super soft and come in fun scents that kids love. Take the Save the Sleeve Pledge and vow to use Boogie Wipes and not sleeves for boogie messes! What are your favorite back to school tips? Disclosure: This post is sponsored by Kandoo, however, all thoughts and opinions on potty training are our own. Are you getting ready to potty train your kiddo? Are you ready to jump off a cliff just THINKING about it? Potty training can be a nightmare, I know! Sometimes kids make up their own minds that they’re ready, while others – yeah – not so much. Two big rules are, #1 – wait till they’re ready. And #2, be consistent. Our Moms Check In moms are talking all about potty training this week and we’ve got some of our own tips and tricks. We’d love to hear your tips too! Drop us a comment below or chat with us on social media using the hashtag #MomsCheckIn and #KandooPottyTraining! We’re going to be talking about potty training this week during a one-hour Twitter party on Thursday, June 18th! You’re invited to attend. Click HERE to RSVP! You must RSVP to be eligible to win prizes. Did you know Kandoo has everything you need to help your child with potty training? From flushable wipes to fun soaps their products are fun and kid friendly. They even have a free potty training tool kit that you can use full of information for parents, a fun story for kids, a potty time chart, and more! Plus you can click here for a coupon on Kandoo products. What are your favorite potty training tips? Singing, “Schooooooool’s outttt for summmmerrrrrr!! !” Summer break is HERE, ya’ll! We have slept in EVERY day so far and we’ve also hit the couch a couple of times for those evening naps that leave you feeling all hungover. Blah. Hate that feeling, but oh well. Those naps sure feel pretty doggone good! Are your kids on summer break yet? Our Moms Check In moms are talking all about summer recipes this week and we’re sharing some of our faves. Over 40 of our favorites, to be exact! What are some of your favorites? Corn on the cob grilled? A fresh berry pie? We’d love to hear your favorites too! Cause you know, food is awesome and the more ideas we have the more we can eat!! HA! Drop us a comment below or chat with us on social media using the hashtag #MomsCheckIn! Disclosure: This conversation has been sponsored in partnership with Dreft, Munchkin, Downy Wrinkle Releaser and Boogie Wipes. All opinions, including my love of all things baby, are 100% my own. How many baby showers have you been to? I’ve been to plenty in my lifetime, including my own, and they’re always so much fun! Family, girlfriends, gifts, games, food and fun! Awesome memories to be made, for sure. Sometimes as the hostess of a baby shower, we can get a little overwhelmed. I know…I’ve hosted a few. Between trying to come up with the perfect food options, gifts, decorating, games and sending out invitations – it can be super crazy! Our Moms Check In moms are talking all about Baby Shower games this week and we’re sharing some of our favorites. We’d love to hear your favorite games, it might give others some more ideas too! Drop us a comment below or chat with us on social media using the hashtag #BestBabyShower and #MomsCheckIn! – Courtney is a wife and mom to a beautiful daughter. She blogs at Optimistic Mommy where she shares crafts, recipes, entertainment news, reviews, and more. Follow her on Twitter here! We’re partnering with some amazing companies that are sponsoring this week’s baby shower chat! Thanks to Dreft, Munchkin, Downy Wrinkle Releaser, and Boogie Wipes! Make sure to join us for the #BestBabyShower Twitter party on 5/4/15 at 1pm EST. We’ll be giving away over $500 in gift cards and prizes!! Make sure that you RSVP here to be eligible to win!! Did you know that Dreft has been helping moms wash baby clothes for over 80 years?! Now Dreft has a product for every stage of babyhood. Their family of detergents and laundry care products are all formulated to be gentle on baby’s skin but tough on stains! From detergents, in-wash scent boosters, refreshers, multi-surface sprays and wipes to a portable pre-treater pen….mom and baby are covered!! Munchkin offers much more than just baby and toddler sippy cups and feeding products! I bet you didn’t realize that they also supply moms with awesome safety products too, like baby gates! Not only do they have great baby gate products, but they also help in making bathtime and pottytime a breeze with some incredible products! With lots of summer vacations on the way, you should check out their travel essentials!! When baby’s happy…momma’s happy! I don’t know about you, but my job as a mom gives me limited time to do things around the house. Like laundry. Save yourself tons of time with Downy Wrinkle Releaser! No more pulling out the iron (who has time for that anyway?!) and no more leaving the house looking like you just walked out of a wrinkle factory! Folks….allergy season is upon us. My kiddo hates when I wipe his nose with dry tissue, especially if I have to wipe it often. His nose gets all sore and chapped. You know how it is…it happens to us too! No more sore noses with Boogie Wipes! Not only do they have scented wipes, they also have a mist which helps keep those noses bust up mucus! Yuck…I know! We <heart> Boogie Wipes! Hey all my mommas out there! Mother’s Day is around the corner. What do you usually do for Mother’s Day? It’s all about celebrating moms and taking a little doting on yourself for being an awesome mom! I’m still so excited that spring is here!! It feels just like yesterday that we had freezing temps. Oh wait…it WAS yesterday! Actually this morning, we had frost on the ground. But the sun is shining, and it’s a beautiful day! Our Moms Check In moms are talking all about Mother’s Day this week and we’re sharing some easy and fun ideas. If you have any awesome ideas, we wanna hear! Drop us a comment or chat with us on our social media channels using #MomsCheckIn. Earth Day is coming up on April 22nd. Do you do anything to celebrate at home? Maybe a small craft or a fun and easy recipe. It’s a great time to talk to your kids about the earth and what we can do to make it better. Ways to take care of it, starting at home doing simple things. Our Moms Check In moms are talking about Earth Day this week and we’re sharing some easy reduce/reuse/recycle ideas, gardening tips and a couple of really fun “dirty” recipes! If you have any awesome ideas, we wanna hear! Drop us a comment or chat with us on our social media channels using #MomsCheckIn. 8. How to Remove Ink from Plastic Containers to Reuse for Crafts, Storage, etc. What are your favorite Earth Day ideas? How’s your green thumb? Do you even have one??!! I have to admit that my thumb is more black than green. I do love fresh garden vegetables though and I’m always excited to plant pretty flowers in the yard each Spring. I think we’ll be making these Spring Dirt and Carrot Garden Cupcakes soon. So fun and yummy!! Folks – they’re PUDDING filled!!! Everyone’s starting to think about planting now so our Moms Check In moms are sharing some of our EASY gardening tips with you. Keyword being – EASY!!! So easy that anyone can do them. If you have any awesome tips, please drop us a comment or chat with us on our social media channels using #MomsCheckIn. I get excited this time of year. Not because I love to clean, cause I don’t – but because I know warm weather is coming. I can throw open my windows and let the fresh air in. Now, again…I don’t really love to clean but I do love having a clean house and being organized so the reward is worth the work. Anyhoo, our Moms Check In moms are talking about spring cleaning tips this week and we’re sharing 101 Spring Cleaning tips and tricks to make things easier. If you have any awesome tips, please drop us a comment or chat with us on our social media channels using #MomsCheckIn. Anyhoo, our Moms Check In moms are talking about our favorite Easter traditions and sharing our recipes and craft ideas. We’d love to hear from you! So if you have any awesome Easter traditions, recipes, or craft ideas please drop us a comment or chat with us on our social media channels using #MomsCheckIn. What are your best Easter traditions, recipes or crafts? St. Patrick’s Day is almost here so we’re sharing some incredible St. Patrick’s Day ideas. You know what that means friends, Spring! Spring is almost here!!! I can almost smell the green grass popping up through the snow. Flowers will start budding soon and I couldn’t be happier!! I usually love winter…being snowed in for a few days here and there. But this winter has been brutal. I’m just ready for sunshine, green grass, fresh dirt and warm days! Our Moms Check In team are talking about St. Patrick’s Day this week and we’ve got an awesome list of St. Patrick’s Day recipes, crafts and party ideas. You can check them all out below…and then drop us a comment letting us know what your favorite St. Patty’s day treats are. Or what you’re looking forward to come Spring!! We’d love to hear from you! What are your favorite St. Patrick’s Day ideas? I always look forward to Dr. Seuss Week because they do such fun things at school with the kids that week. Inside out clothes, pajama day, favorite hat day….and the list goes on. We also celebrate at home, because we LOVE Dr. Seuss. I got my little guy one of these Dr. Seuss Book Collections forever and a day ago and we still have them all. We also have all of these Dr. Seuss movies….we watch them ALL the time still. Our Moms Check In team are talking about Dr. Seuss this week too and we’ve got a list of 12 really awesome Dr. Seuss ideas including recipes, crafts, books and party ideas. They’re all listed below. We’re also each telling our favorite Dr. Seuss books and our kids’ as well. Are you celebrating Dr. Seuss Week? Here’s our Moms Check In moms favorite Dr. Seuss Books! What was your favorite Dr. Seuss book? Do your kids have a favorite one?